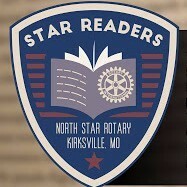 The Rotary Club of Kirksville - North Star was chartered in 2013 and is Kirksville's newest Rotary club. This young and evolving group is proud to have a strong presence in our community. Listed below are some examples of the projects that our club has been involved with. Our club's major fundraiser and community event is the annual Misouri North Star BBQ championship. Vist www.northstarbbq.org for more information. Our club's signature service project, providing books and mentorship to students in Kirksville, Missouri. The Rotary Club of Kirksville - North Star is proud to support FLATS ! FLATS is an organization whose mission is to support the use, development, promotion, and maintenance of trails in Adair County. Most notably, they are dedicated to building a trail that will connect downtown Kirksville to Thousand Hills State Park. North Star Rotarians are often spotted volunteering at Hope's Kitchen , an organization that offers meals to those in need one Saturday a month at Mary Immaculate Parish. One of our service project in the Kirksville community is to clean up the route P/ Northtown Rd. between Baltimore St. and the Highway 63 bypass. 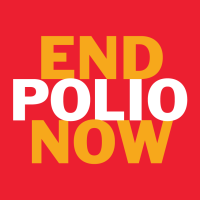 2018 for the final push to eradicate the disease worldwide.